The Chairman thanked Cllr Mrs Bolton for her support as Vice Chairman in the past year. 8.1 Dog/litter bins at Ettington Park update – Clerk/Cllr Barritt – Following discussion with SDC and Cllr Parry, it was clear that SDC would not fund bins on the estate. Cllr Barritt asked that WWPC consider purchase of bins and an emptying schedule. The Clerk reported that as there were no bins on the original planning application there is no obligation for the developer to provide these and noted there was no WWPC budget for purchase or emptying of bins. Action: Letter to Persimmon requesting a meeting to discuss the decision not to provide bins on such a large housing development. 8.2 WCC School Safety Zone and Routes Programme 208/19 update – No dialogue could be opened as informed no budget. Cllrs agreed Cllr AP to follow this up with a letter to WCC saying that WWPC would like to be involved in the 2019 forward planning and budget setting. 8.3 Graffiti removal update – Cllr CM – no further progress had been made. 8.4 30mph roundels speed markings on Charlecote Road – update Clerk – WCC response was that they no longer consider roundels necessary. 8.5 Pedestrian crossing upgrade Kineton Road – Clerk – WCC had confirmed the crossing controls were operating correctly but they had adjusted the timing to allow more time to cross and would consider an upgrade next financial year. 8.6 Bus stops – It was noted there were no timetables at the bus stops informing whether the buses included the Dovehouse estate or not. meet with the committee to discuss further. 10. Review of Terms of Reference (TORs) – Accepted without amendment – Prop Cllr Mrs RB, 2nd Cllr AP carried. new entrance sign had been installed on the traffic island and a new bridge style sign had been installed at the entrance of WDP. WCC Highways reaffirmed that there is no evidence of the road layout being dangerous and therefore no action was proposed. Cllrs discussed the problems caused by the Waste Depot closing at inopportune times and the bus stop backing up traffic to the entrance of Sainsbury’s and agreed the response from WCC to be unsatisfactory. 11.3 Parking in the village – set up of a parking working party – Cllrs SJ, RB, AP & Mrs Cook agreed to join the working party – first meeting to be arranged. 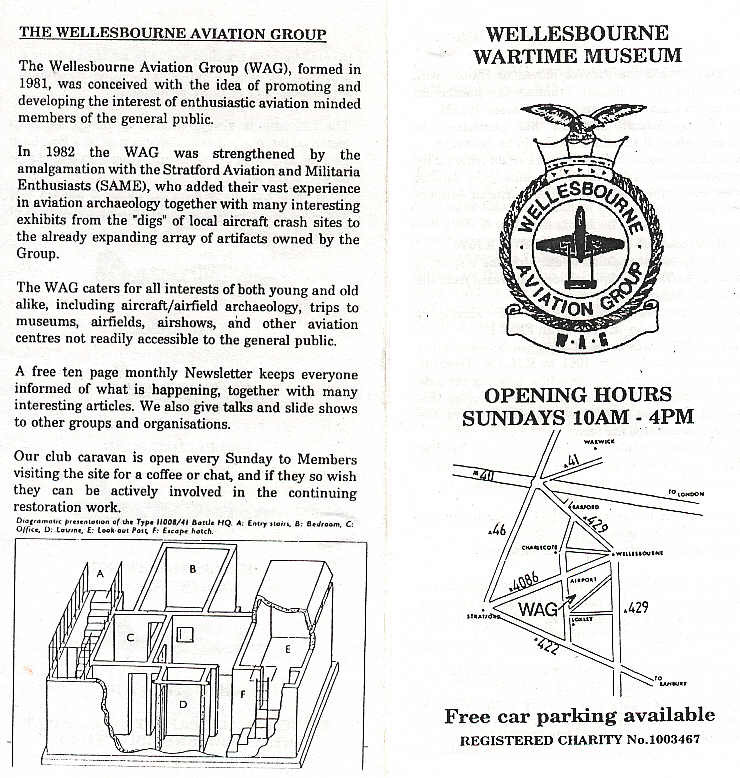 11.3.2 Park it Right campaign – Wellesbourne involvement (raising awareness) – WP to discuss further. 11.4 Radar speed signs – update Cllr SJ said there was significant funding for Police Forces including Warwickshire including ANPR (Automatic Number Plate Recognition). Bishops Tachbrook had recently undertaken a Speed Watch campaign and found 70% of vehicles were travelling above the speed limit. Action: Write to Philip Seccombe asking that Wellesbourne be included in the Speed Watch campaign. 12.4 Anti-social behaviour update from the Community Forum – update Cllr CM – Anti-social behaviour, speeding and burglary were the three police priorities this month. PC Stapleton reported engagement with local businesses and the schools re drug misuse and making of informed choices. 12.5 Health & Safety of the Sub Urban Drainage Systems (Ettington Park/Cozens Street) – update Cllr RB – Mr Jones from SDC Environmental Services had carried out a site visit and Persimmon had been asked for a Risk Assessment showing area accords with the building of SUDS. Cllrs agreed that due to the depth of the SUDS that life rings should be provided on site. had been approved a public version would be produced for residents. supplied some booklets for the stand. the flood alleviation works carried out by each authority to date. 14.1 PC stand at the Street Fayre – there were many promotional leaflets given out regarding trees and emergency planning, and there had been 53 entries into the competition to win a tree, and as well as several colouring competition entries. Cllr CM thanked the volunteers for their assistance on the stall. Chestnut Square was in need of painting and a request for this had been sent to BT.